Join the dashing Prince Tamino in his quest for truth, honor, and a beautiful damsel in distress, who—true to fairytale form—he falls madly in love with, despite having never met. Mozart’s fantastical tale draws you into a world of magic-realism, complete with a giant serpent, moody monarchs, a secret brotherhood, and one very lovesick bird catcher. 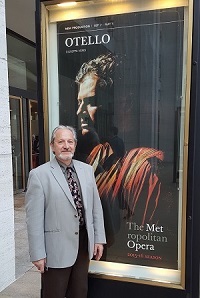 This charming opera, directed by Michael Shell, which is a profound exploration of the limits of loyalty and love, has been enchanting believers of all ages for over 200 years. The fun unfolds around a star-studded cast that welcomes several anticipated returns: Matthew Plenk (The Mikado, 2012) plays the brave, love-struck Tamino whose adventurous pursuits lead him to the arms of his princess; David Pershall (The Pearl Fishers, 2012) lends comic-relief as the prince’s sidekick Papageno; and the regal Heather Buck (Orphée & The Pearl Fishers, 2012) reigns as Queen of the Night. Nadine Sierra joins the trio in her company debut as Pamina. Scene 1 – Prince Tamino is being pursued by a terrible serpent. He faints, but just as the serpent is about to attack, three Ladies appear and defeat the beast. They are enchanted by the handsome prince, but cannot decide who should stay behind to watch as the others report back to their mistress, the Queen of the Night, so they all depart. Tamino wakes up, sees the dead beast, and believes that some divine force is looking out for him. He is even more surprised when a man covered in feathers comes into the clearing. This is Papageno, the bird catcher, who serves the court of the Queen by trading birds for food and drink. Papageno is more than happy take the credit for having killed the monster, but the three ladies return and punish Papageno for his lies by sealing his mouth with a lock. They show Tamino a picture of the Queen of the Night’s daughter, Pamina, who has been kidnapped by the evil Sarastro. The mountains open to reveal the Queen of the Night, who commands Tamino to save Pamina. The Ladies unlock Papageno’s mouth, warning him not to lie again. They give Tamino a magic flute to help protect him on his journey. Papageno tries to leave, but the Queen wants him to accompany the Prince. To assuage his obvious fear, the Ladies give Papageno a set of magic bells. With three boys to lead them to the palace, Tamino and Papageno set off. 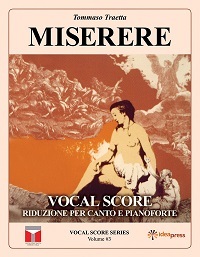 Scene 2 – In Sarastro’s palace, Pamina tries to rebuff the advances of Monostatos, the overseer of slaves. Papageno sees Pamina through the window, and enters the chamber. Papageno and Monostatos are each frightened by the other’s strange appearance, and Monostatos runs off. Papageno explains to Pamina that there is a Prince on the way to rescue her. But Papageno is sad, because he has no girlfriend waiting for him. Scene 3 – The boys have led Tamino to a grove with three temples – Reason, Nature, and Wisdom. He is sent away from the first two, but at Wisdom, a priest speaks with him—it is the Queen, not Sarastro, who is the evil one, and that Pamina is still alive. Overjoyed, Tamino begins to play the magic flute. He hears an answering melody on Papageno’s bells, and heads towards the music. Monostatos tries to stop Papageno and Pamina from escaping, but when Papageno plays his bells, Monostatos and all the slaves begin to dance instead. Horns announce the arrival of Sarastro. Papageno is terrified, but Pamina reassures him, and explains to Sarastro that she was not trying to escape him, but Monostatos. Monostatos enters, bringing Tamino with him. Tamino and Pamina embrace, infuriating Monostatos, who tries to pull them apart. Sarastro interrupts and orders Monostatos beaten for his advances on Pamina. He then asks that Tamino and Papageno be led into the temple for purification. Tamino is ready for the upcoming trials, but Papageno isn’t so sure—fighting isn’t his thing. Sarastro convinces him—he has found Papageno a pretty little wife, Papagena, but he can never have her unless he undergoes the trials. The Queen’s Ladies appear, and try to get Tamino and Papageno to break their vows of silence. Tamino remains strong, but Papageno babbles in terror. The Ladies admit defeat, at least where Tamino is concerned, and the ground swallows them. 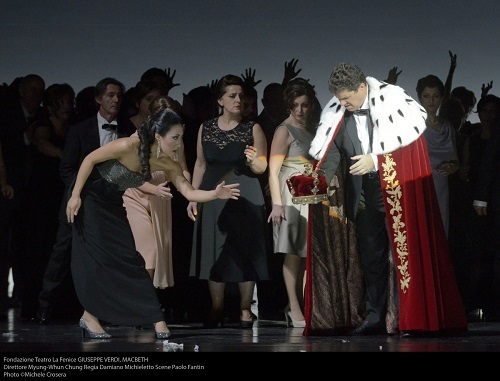 Meanwhile, The Queen gives Pamina a dagger, demanding that she murder Sarastro. Pamina refuses, and asks Sarastro to forgive her mother. The second trial begins, and once again Papageno cannot keep his mouth shut. When he begs for a glass of water, an old woman appears. She claims to be 18, and says that Papageno is her boyfriend. A thunderclap sounds as she speaks her name, and she vanishes. The three boys bring refreshments, and Papageno tucks in, but Tamino refuses, playing his flute. Pamina appears, and does not understand why Tamino will not speak to her. Papageno, having failed the prior two trials, is not invited to proceed, which is fine with him. But he does still wish that he could have the Papagena he was promised, and plays his bells. The old woman from the last trial appears, and demands that Papageno declare his love for her. After much coercion, Papageno agrees, and suddenly the old woman is transformed into the beautiful, feather-covered Papagena….only to be immediately taken away by the priests. Papageno, distraught, asks the earth to swallow him, and it obliges. Tamino prepares to enter the mountain, where he will face trials of fire and water. Pamina begs to see him, and the guards allow it—the lovers will face this final trial together. Shielded by the power of the magic flute, they proceed through the mountain, and are greeted on the other side by a rejoicing chorus. Papageno searches for his missing Papagena. About to give up and end his life, he is stopped by the three boys, who remind him that he holds a powerful weapon – the magic bells. He plays them, Papagena appears, and the two can finally look forward to a home and many children together. Monostatos has led the Queen and her Ladies beneath the temple, intent on killing Sarastro and taking Pamina back. Amidst thunder and lightning, Sarastro thwarts their plans, and breaks the Queen’s power forever. All can now celebrate the triumph of light over darkness. Whether conducting contemporary masterpieces or bringing fresh insights to the symphonies of Mozart, Beethoven or Brahms, Mark Russell Smith demonstrates consummate musicianship and enthusiastic commitment to the art of music-making – qualities that have endeared him to audiences and musicians alike. In June of 2007, Smith was appointed Director of New Music Projects of the St. Paul Chamber Orchestra and Artistic Director of Orchestral Studies at the University of Minnesota, a combined post that enables him to bring his commitment for excellence and passion for education to new audiences. In March of 2008, he was named Music Director and Conductor of the Quad City Symphony Orchestra, effective September, 2008. As Music Director of the Richmond Symphony Orchestra, a position he held from 1999 to 2009, Smith was praised for his innovative and approachable programming and is widely credited with fostering the orchestra’s unprecedented artistic growth. As a guest conductor, Smith enjoys a burgeoning international reputation that has already brought him engagements and re-engagements with prestigious American orchestras, including the St. Louis Symphony, the Houston Symphony and the St. Paul Chamber Orchestra. With the Minnesota Orchestra, he made his critically-acclaimed Sommerfest debut in 2006 and made his subscription series debut in March of 2009. In November 2007, he returned to his alma mater to lead the Symphony Orchestra of The Curtis Institute of Music in Verizon Hall. Smith’s debut at the Nomus Music Festival in Novi Sad, Serbia was met with critical and audience acclaim and led to immediate reengagement. Other recent and upcoming appearances include the Santa Barbara Symphony, Brazil’s Orquestra Sinfôniea da USP, the Hartford Symphony, Orquesta Sinfonica de Xalapa, the Phoenix Symphony, the Colorado Symphony, the Eugene Symphony, the Curtis Opera Theatre, the Jacksonville Symphony, the Berkshire Choral Festival, the Eastern Music Festival, the Tulsa Philharmonic, Orchestra London (Ontario), and the European Center for Opera and Vocal Art in Ghent, Belgium. After making his directorial debut in 2006, Mr. Shell has gone on to direct for Atlanta Opera, Pittsburgh Opera, Michigan Opera Theater, Virginia Opera, Piedmont Opera, Opera Tampa, Opera Omaha, The A.J. Fletcher Opera Institute, Opera Theatre of St. Louis and Wexford Festival Opera. He made his international directing debut at the Wexford Festival Opera in 2010 with a production of “Winners,” by American composer Richard Wargo and returned the next fall to direct Double Trouble – Trouble in Tahiti and The Telephone. He has written and directed three cabarets, including All About Love and The Glamorous Life – A group therapy session for Opera Singers, both for Opera Theatre of Saint Louis. Mr. Shell has been a guest faculty member at the North Carolina School of the Arts and Webster University St. Louis, teaching Opera Workshop and directing Undergraduate Opera Workshop performances. He was the 2009 honoree of the OTSL Charles MacKay Career Development Fund and recently won the Best Director/Best Opera Wilde Award in Michigan for Giulio Cesare at MOT. Upcoming engagements include: H.M.S. 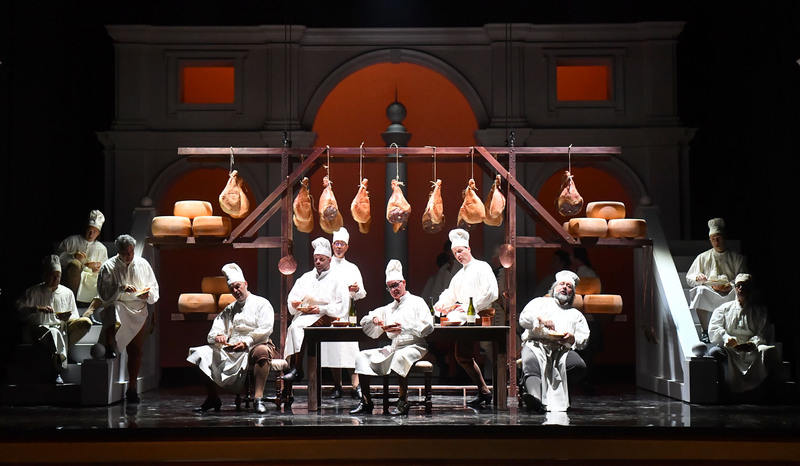 Pinafore – Indiana University Opera, and a new production of The Barber of Seville – Co-produced by Opera Philadelphia and Opera Theatre of Saint Louis. This season, tenor Matthew Plenk returns to the both the Metropolitan Opera and the Virginia Opera as Tamino in The Magic Flute. A graduate of the Metropolitan Opera’s Lindemann Young Artist Development Program, he made his Met debut in the 2007/2008 season in Tristan und Isolde. He has since returned to the Met for Lucia di Lammermoor, The Makropolous Case, Il Tabarro and Hamlet. 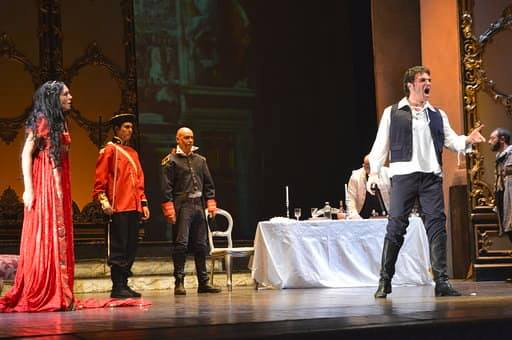 Other recent opera engagements have included Die fligende Holländer at the Los Angeles Opera, The Pirates of Penzanze at the Opera Theater of St. Louis, Cosi fan tutte at the Atlanta Opera, and Don Giovanni at the Boston Lyric Opera and the Des Moines Metro Opera. 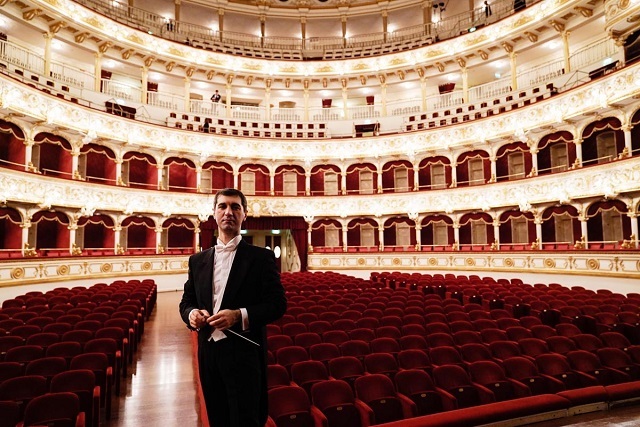 In concert he has appeared with the Boston Symphony Orchestra, Philadelphia Orchestra, Cleveland Orchestra, Los Angeles Philharmonic and at the Tanglewood and Aspen festivals. Mr. Plenk is a Samling Scholar, and holds a Bachelor’s degree from the Hartt School of Music and a Master’s degree from Yale University. This season, soprano Nadine Sierra makes her debuts at the Seattle Opera as Gilda in Rigoletto and at the Virginia Opera as Pamina in Die Zauberflöte, and returns to the Boston Lyric Opera for Rigoletto. She also appears in a performance of the Brahms Requiem in Ann Arbor and will be presented in recital in the Tucson Desert Song Festival and by the Michael Schimmel Center for the Arts in New York. 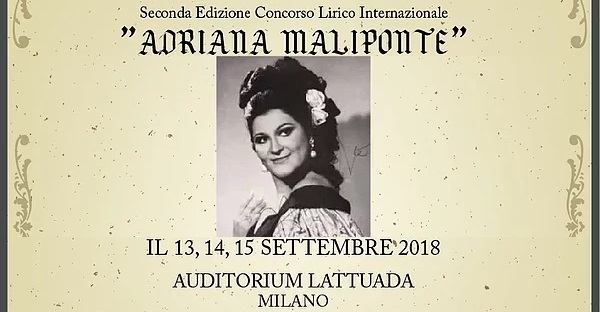 She recently made debuts at the Teatro di San Carlo in Naples in Rigolett and the Glimmerglass Festival in staged performances of the Pergolesi Stabat Mater. A graduate of the Adler Fellowship program at the San Francisco Opera, she appeared on their main stage in The Magic Flute and Heart of a Soldier. Other recent engagements have included her debuts at the Florida Grand Opera as Gilda and the Boston Lyric Opera as Tytania in A Midsummer Night’s Dream; the title role in Orfeo ed Euridice at the Palm Beach Opera, and the critically acclaimed production of Montsalvatge’s El gato con botas at the Gotham Chamber Opera. In 2013-14 Heather Buck sings Alma Beers in Wuorinen’s Brokeback Mountain with Teatro Real (Madrid, world premiere), debuts with Nashville Opera as Leila in Les Pêcheurs de perles, and with Pittsburgh Opera as La Princesse in Glass’ Orphée. In 2012-13 Heather Buck sang Leila in Les Pêcheurs de perles with Virginia Opera; returned to Opera Naples as Tytania in A Midsummer Night’s Dream; and to Teatr Wielki, Opera Naradowa as Medea in Dusapin’s “Medeamaterial.” She sings Lulu Baines in Elmer Gantry with Florentine Opera (Naxos label), nominated for three Grammy awards, and voted “Best of the Year” by Opera News. 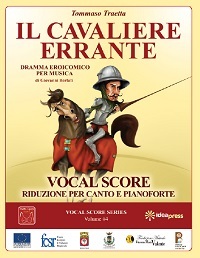 Performances include La Boheme with Den Norske Opera, Schmidt’s Notre Dame in Carnegie Hall, Il Barbiere di Siviglia with El Paso Opera, Andrea Chenier in Avery Fisher Hall, Lucia di Lammermoor with Opera Theater of Connecticut, concerts with Dallas Opera, Wonderful Town with the Giuseppe Verdi Orchestra di Milano, and a recording of L’amore dei tre re at the Beethoven Easter Festival in Warsaw with the Polish Radio Symphony Orchestra. Awards include the Lissner Foundation International Vocal Competition, the Kauder Competition for Voice, Metropolitan Opera National Council Auditions, Giulio Gari Foundation Competition, Opera Index, George London Foundation, and Licia Albanese-Puccini Foundation. Recognized for her “warm, clear, and colorful voice” and “huge talent, full of temperament, and pinache”(Washington Post), Mezzo-soprano Sarah Williams has performed to critical acclaim worldwide. Equally at home in opera, musical theater, chamber music, and recital, Ms. Williams has performed at venues such as Carnegie Hall, Lincoln Center, Virginia Opera, Chautauqua Opera, and Sarasota Opera. A prolific recording artist, Ms. Williams can be heard on the Albany and Naxos labels. Her performances have been broadcast on PBS, NPR, and the radio program Performance Today. A deep commitment to contemporary music, has led Ms. Williams to premiere the role of Veruca Salt in Peter Ash’s The Golden Ticket. In addition, she debuted the title role of Jo in Mark Adamo’s Little Women in Tel Aviv, Israel. She received her degrees from the Manhattan School of Music (M.M.) and Westminster Choir College (B.M.). Ryan C. Connelly, tenor, is from New Freedom, Pennsylvania. He attended Temple University where he received a Bachelor’s Degree in Voice Performance in 2009, and the University of Cincinnati College-Conservatory of Music where he received a Master’s degree in Voice Performance in 2011. He has since performed with many companies, including Kentucky Opera, making his professional debut as Remendado in Carmen; the Queen City Chamber Opera, singing the roles of Vogelsang and Bastien in the company’s first production of Der Schauspieldirektor and Bastienne und Bastienne; and the CCM Spoleto festival, where he starred in Rossini’s Il Signor Bruschino as Florville. Soprano Amanda Opuszynski recently appeared as Frasquita (Carmen) with The Atlanta Opera and covered Woglinde and Wellgunde in Seattle Opera’s renowned Ring Cycle. During her two seasons with the Seattle Opera Young Artist Program, she appeared as Norina (Don Pasquale) and Sophie (Werther) and made her mainstage debut as Frasquita (Carmen). Ms. Opuszynski has also enjoyed apprenticeships with the Glimmerglass Festival, The Santa Fe Opera, and the Wolf Trap Opera Studio. She is a graduate of the University of Michigan and the University of Maryland Opera Studio and has twice been a Regional Finalist in the Metropolitan Opera National Council Auditions. A native of Walled Lake, Michigan, bass-baritone Matthew Scollin has begun his emerging career with young artist residencies at Santa Fe Opera, San Francisco Opera, and Seattle Opera. In 2012, he performed Man with a Cornet Case (Postcard from Morocco) while a member of the Merola Opera Program. As a Seattle Opera young artist during the 2012-13 season, Scollin made his mainstage debut as Second Prisoner in Fidelio and sang La Rocca in the program’s touring production of Verdi’s Un Giorno di Regno. 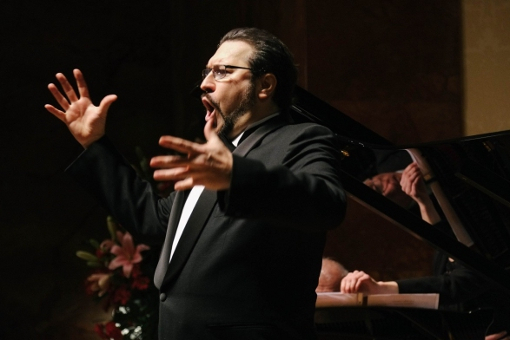 He has also covered Colline (La Bohème), First Apprentice (Wozzeck), and Antonio (Le Nozze di Figaro) while an apprentice at Santa Fe Opera in 2011 and 2013. Scollin holds degrees from Michigan State University and the University of Illinois. Tenor David Blalock is participating in his first season as a Virginia Opera Emerging Artist. In the spring of 2013, he made his Fort Worth Opera debut as Young Thompson in Tom Cipullo’s Glory Denied. During his second summer as an apprentice with Santa Fe Opera in 2013, David made his SFO mainstage debut, singing Bertram in Rossini’s La Donna del Lago, as well as First Prisoner in the world premiere of Theodore Morrison’s Oscar. He is a two-time district winner of the MONC auditions. After receiving his undergraduate degree from UNC Greensboro, David attended the Maryland Opera Studio for two years. Kristen Choi (Mezzo-soprano) is a Los Angeles native and a graduate of the San Francisco Conservatory of Music. Recent roles include Jo (Little Women) with Opera North, Tisbe (La Cenerentola) with Townsend Opera, Lady Thiang (The King and I) with Opera North, Zerlina (Don Giovanni) with West Bay Opera in Palo Alto, CA, and St. Theresa II (Four Saints in Three Acts) with Opera Parallèle in San Francisco. Ms. Choi recently sang arias from Bizet’s Carmen with the Young Musicians Foundation Orchestra and received a scholarship with the Pasadena Opera Guild. Earlier this year, Ms. Choi participated in Sarasota Opera’s apprenticeship program. Tenor Ben Kwak is well know in Korean community in Washington DC area. He has been tenor soloist in Washington Soloist Ensemble since year 2000. He has performed tenor solos in Mozart’s Requiem, Coronation Mass, Verdi’s Requiem and Handel’s Messiah with Global Mission Church, Washington Soloist Ensemble, The First Baptist Church in Washington. He is continuously invited from the Ureuk Symphony Orchestra’s annual concert performing at Merkin Concert Hall in New York City. Recently he sang with Tenor Tracey Welborn and Soprano Anne O’bern In Love With Music concert which Lyric Opera Virginia and Grace and Holy Trinity Church presented. In 2013-2014 season, Mr. Kwak will sing numerous rolls and cover lead rolls with Virginia Opera productions. Troy has designed over 275 productions for various off-Broadway, regional and opera companies across the USA, Canada and internationally; including The New Victory, New York Theatre Workshop, Cherry Lane Theatre, Brooklyn Academy of Music, Classical Theatre of Harlem, Epic Theatre Ensemble, Juilliard, The Guthrie, Bay Street Theatre, New York Stage and Film, Williamstown, Huntington Theatre, Court Theatre, Studio Theatre, DC., Syracuse Stage, and Sarasota Opera. Awards: AUDELCO Award and nominations for Helen Hayes Award, Joseph Jefferson Award, Henry Hewes Award, Drama Desk Award, six AUDELCO nominations and Ford Foundation Artist Grant. 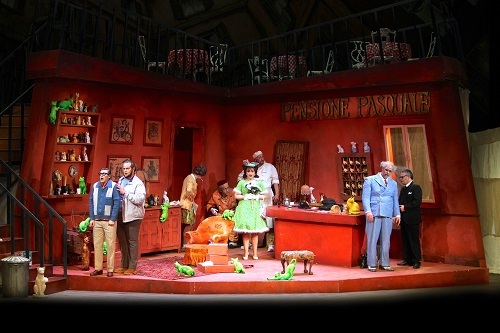 Upcoming: Falstaff at Opera Hamilton and Ariadne in Naxos at Glimmerglass Opera. James P. McGough is pleased to return for his 16th season with the Virginia Opera. During the off season, Jim is a designer and Make-Up artist for Fort Worth Opera Festival. Over a 25 year career, Jim’s work has been seen in theatres across the U.S. from Broadway to regional productions. He dedicates this season to the loving memory of his parents. 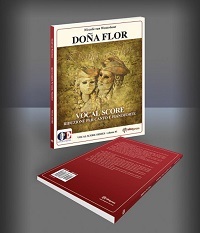 This entry was posted in Music, OPera and tagged Magic Flute, Nadine Sierra, Pamina, Papagena, Papageno, Queen of Night, Sarastro, Tamino, Virginia Opera. Bookmark the permalink.